For 's anime alphabet. I'm doing "J" obviously. Listening to: Lots of Mariana's Trench. I love them dudes. OUCH, you're burning! <3 But this wallpaper cools ya down. I love it! ...oh crap. Like the flowy hair and shiny stuff. It's totally ripping my eyes out. Those red eyes are replacing the bloody sockets that I have left. For this is awesome. Somehow it's both relaxing yet full of tension. Creepy little girl. I hate her already. >_> It's beautiful. I want to eat your wall since it's so amazing. I had to full view this from the litto thumb I saw on the main page. It's beautiful, and the colours are an attractive combo, might put this on my desktop soon. Great job, especially the watery parts. This work caught my attention even in small resolution. It's an incredible piece of work, congrats! :) The plants and leaves has been drawn perfectly, specially the ones on foreground. 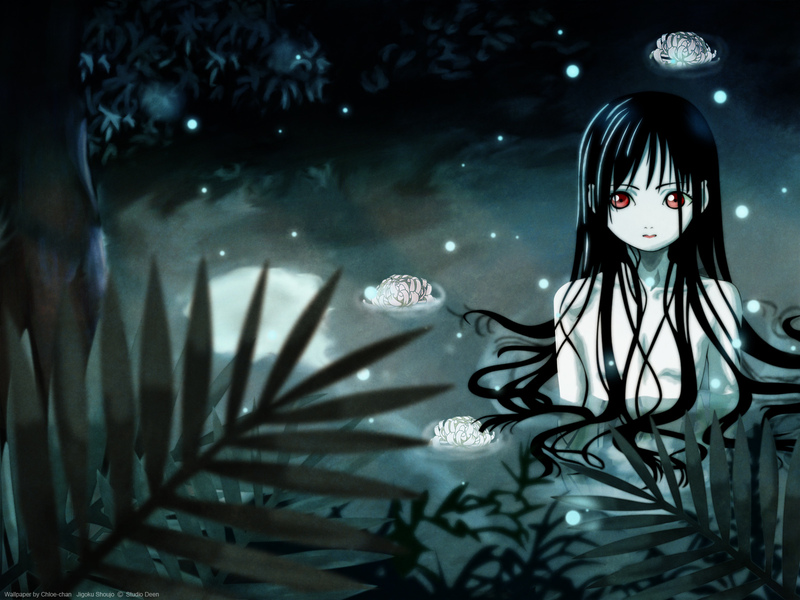 But I think this work would really shine if the water looked crystal clear, and shimmered under moonlit. Still, it's a very beautiful work. Keep up the good work. LOVELY! I love this wallpaper! Is very wonderful! Excellent job! It's really nice, I love the atmosphere. Love the plants texture and the colors overall. The flowers in the water are a great touch and nice idea I think, but it clash from the background a bit. They seem too sharp in comparison to the water. Aw what a beautiful scene! Lovely job with the painting!